1. 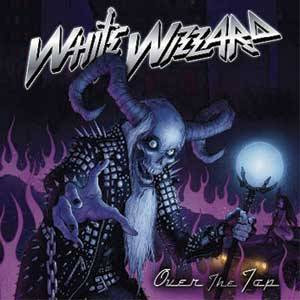 White Wizzard – Over the Top. I keep returning to this record over and over. It came out early in the year, but I’ve listened to it regularly. It’s great old-school traditional metal, with just a little cheese, and it brings back happy memories of better times. 2. Overkill – Ironbound. Is it possible for a band that’s been around this long to release their best record ever? I don’t know if Ironbound is their best, but it’s definitely on par with any of their classic material. 3. Black Label Society – Order of the Black. After a disappointing outing with Shot to Hell and a soap opera-like split with Ozzy Osbourne, Zakk Wylde returns to form on this record. It’s heavy, it rocks and it’s got some great soft moments as well. 4. Danzig – Deth Red Sabaoth. Danzig comes out of a period of experimentation and mixed efforts with a back to basics, stripped-down record that reminds me what I loved about his early work. 5. Accept – Blood of the Nations. Wow. Just wow. I’ve never been a huge Accept fan, but a new singer and a long break makes all the difference. This album has everything you want from a metal record. 6. Jon Oliva’s Pain – Festival. While not as impressive as his last outing, Global Warning, the Savatage fanboy in me won’t let me leave Jon Oliva off my year-end list. A solid outing, as usual. 7. DareDevil Squadron – Out of the Sun. Here’s another record that I returned to time and again throughout the year. 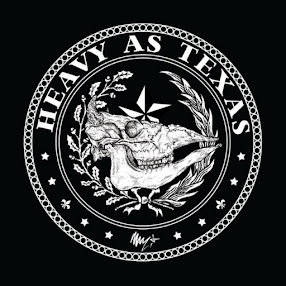 It’s a collection of fun, old-fashioned hard rock that ranges from 1980s sleaze to NWOBHM influenced numbers to classic 1970s hard rock. 8. Holy Grail – Crisis in Utopia. Both bands to come out of the White Wizzard split make my top 10. Holy Grail delivers a more modern take on traditional metal, calling on power and thrash influences, and delivering a rousing collection of memorable songs. 9. Armored Saint – La Raza. I was happy to find John Bush back in the Anthrax fold, then disappointed to find him gone again. But here’s hoping we get more music from Armored Saint. It may take 10 years to get another record, but it’s always worth the wait. 10. Charred Walls of the Damned – Charred Walls of the Damned. The “supergroup” concept rarely works, but here’s one case where it works surprisingly well. Essentially Tim Owens-era Iced Earth minus Jon Schaffer, Charred Walls of the Damned delivers a good mix of power, prog and thrash. Review: Negligence, "Coordinates of Confusion"
Review: Holy Grail, "Crisis in Utopia"